The 3 in 1 from the House of Cosatto just escaped the city and got new multi-terrain wheels. Pram, duo-directional pushchair – Ooba’s your posh go-anywhere. Now with even more thoughtful details for an easy life. Find your new adventure. This all-you-need system is lovingly crafted with luxury stitched leatherette and exquisite tailoring plus reversible luxury Cosy Toes, new sculpted ‘it’ bag, and patterned raincover with a zip for easy cuddle access. Ooba’s compact folding lightweight chassis is marvellous for ladies who lift. The 2-way multi-height handle with brake suits mummy or daddy. There’s a snoozy adjustable recline and leg rest. 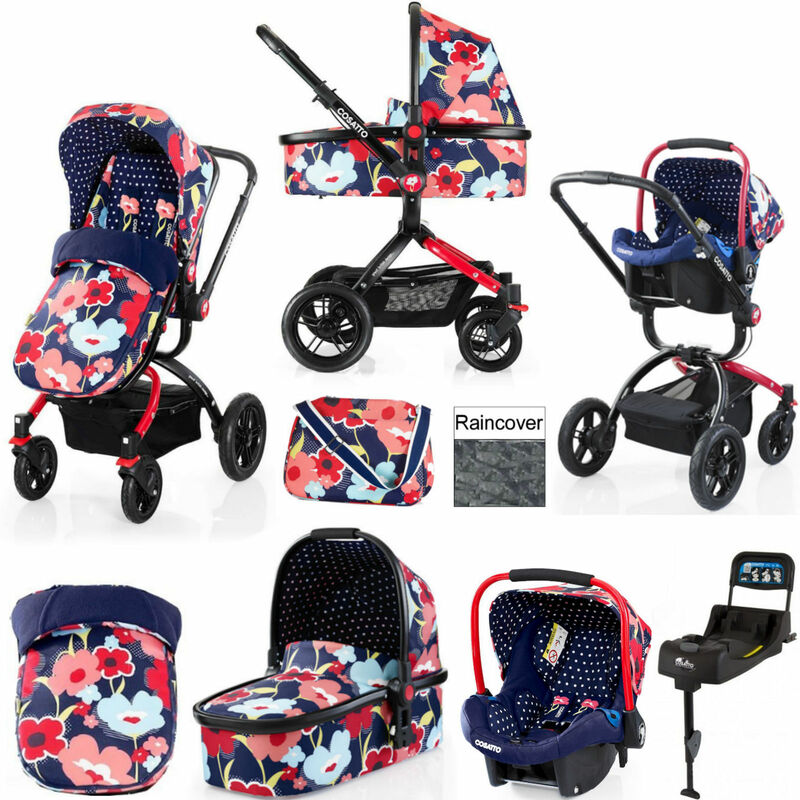 With easy-clean quick-release wheels, pop-off washable carrycot liner, fresh air ventilation and sun visor on the pushchair hood – Ooba is one considerate clever clogs. Ooba has co-ordinating easy-release buttons for smooth mode changes – no need to wake the little darlings unnecessarily. They’ll sleep like babies. When stepping out in town or escaping to the country, always allow time for admiring glances. Move your dot smoothly hither and thither with Port 0+ car seat. Suitable from birth to 13kgs it's the secure, snug pod of choice for strolling or giving an in-car cuddle. Port docks smoothly onto Ooba and is also compatible with the ISOFIX base for sturdy anchoring in your car (included). If you’ve got ISOFIX anchors in your car (and nowadays most cars do), then just pop your Port 0+ car seat on and off your in-situ ISOFIX base. ISOFIX is minimal faff - just simplicity with a satisfying click that lets you know it’s fastened securely. This is the ultimate in click 'n' go convenience. Handy quick release buttons let you move your baby bundle from car to shops with no wake ups.